Duncan Sheik has words for Ryan Murphy! 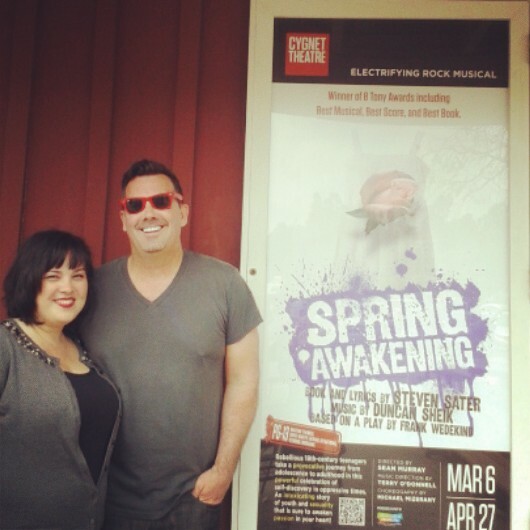 I know you were anxiously waiting for it, so here is the second part of my interview with the SPRING AWAKENING and AMERICAN PSYCHO composer Duncan Sheik when he was in San Diego at the Cygnet Theatre. The last article was all about SPRING AWAKENING but now we move on to the development of new projects like getting youth involved in theatre and creating AMERICAN PSYCHO. SPRING AWAKENING has many distinctive features, but one those features was that it has a very young cast and anyone who has seen television lately knows that there is from his cast came fan musical favorites like Lea Michele and Jonathon Groff. So what are his thoughts on developing youth in theatre? Another show of his that is already making a mark on the theatre world and getting a buzz from younger theatre attendees is Sheik’s new project AMERICAN PSYCHO. Having just finished a run in London staring Matt Smith, this show already has a strong buzz about it. Based on the controversial 1991 novel of the same name by Bret Easton Ellis, the show has music and lyrics by Duncan Sheik and a book by Roberto Aguirre-Sacasa. So how did that project come about? What Sheik is doing with the score is also something that is exciting to him for this new musical. Speaking of developing youth, creating new works, and working with people with ‘Glee’, Sheik has some strong feelings to share with Ryan Murphy. I cannot wait for that showdown! SPRING AWAKENING at the Cygnet Theatre March 6 – April 27, 2014. Show times are Wednesdays and Thursdays at 7:30 pm, Fridays at 8pm, Saturdays at 3pm and 8pm, and Sundays at 2pm and 7pm. Tickets can be purchased by visiting Cygnet’s website at www.cygnettheatre.com or by calling the box office at 619-337-1525. Cygnet’s box office and theatre are located at the Old Town Theatre, 4040 Twiggs St. in Old Town San Diego State Historic Park.